Winter’s biggest racing event takes place this Saturday January 26th at Gulfstream Park — the $9 Million Pegasus World Cup Invitational. Featured under card race is the $7 Million Pegasus World Cup Turf Invitational. First post of this stakes filled program is 11:30 AM. All four Virginia Bets OTBs will simulcast the action — Breakers Sports Grille and Ponies & Pints in Richmond, Buckets Bar & Grill in Chesapeake, and The Windmill Off Track Sports Grill in Martinsville/Collinsville. The two favorites for this year’s Pegasus World Cup Invitational both drew well in a field of 12 Tuesday at Gulfstream Park. 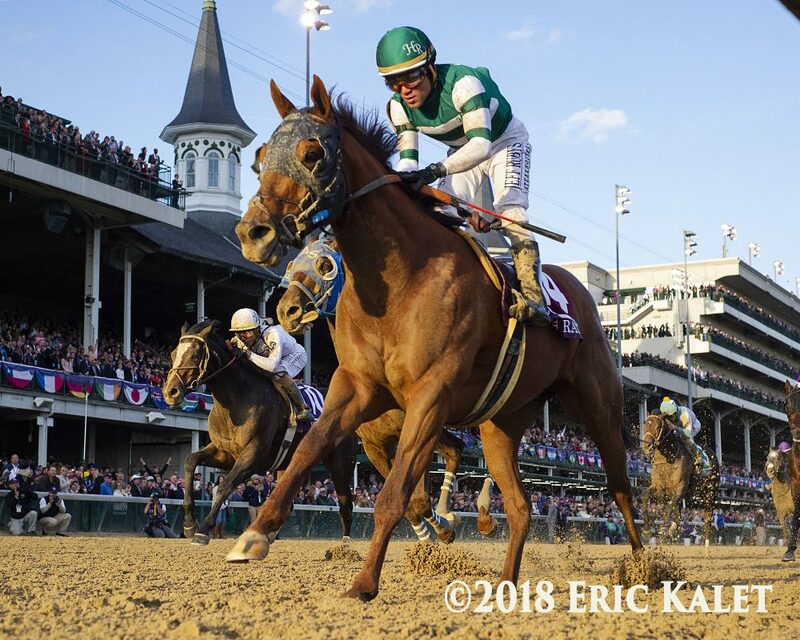 Breeders’ Cup Classic winner and Horse of the Year candidate Accelerate will be slotted in the 5 post as the 9-5 favorite, while second choice and Breeders’ Cup Dirt Mile winner City of Light wound up in post position 3 at 5-2. Breeders’ Cup Classic winner Accelerate is early favorite in the January 26th Pegasus World Cup. Among the other leading contenders, last year’s Kentucky Derby third-place finisher Audible (post position 10) and Cigar Mile winner Patternrecognition (PP 12) will both have to overcome a difficult outside draw for the 1 1/8-mile configuration at Gulfstream Park. Here are the complete fields with odds, trainer and jockey. This entry was posted in Pegasus World Cup and tagged accelerate, city of light, gulfstream park, pegasus world cup, Pegasus World Cup draw, Pegasus World Cup Invitational, pegasus world cup turf, yoshida by Paulick Report Staff. Bookmark the permalink.